The YBF folks were hitting up events last night. Peep pics of Jourdan Dunn, LIONBABE, Raven Symone, Naomi Campbell and more inside…. When she’s not slaying a magazine cover, Jourdan Dunn is working her magic on a carpet. The supermodel chick flossed those long stems in black Self Portrait paneled dress paired with black pumps to attend British VOGUE 100: A Century of Style exhibition opening reception held at the National Portrait Gallery in London. Outside of her epic magazine covers and gorgeous spreads, the VOGUE Brasil covergirl is steadily building her fashion empire. 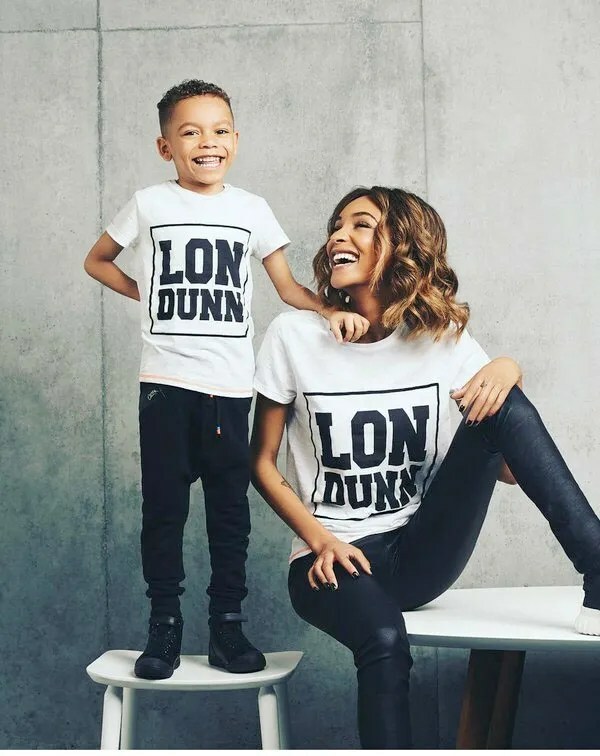 She just launched her first kids collection in collaboration with M&S, inspired by her son Riley (above), called Lil Lon Dunn. Cute! The kiddie collection is expected to hit stores in April. LIONBABE duo Jillian Hervey (daughter of Vanessa Williams) and Lucas Goodman were on the scene to celebrate with the historic magazine last night. Jillian pulled together a feisty animal-printed look, rocking designers Armani, Michael Kors and Reformation. LOVE her hair. LIONBABE was tapped to perform a set during the gala. The twosome stopped to snap a few fun flicks with a VOGUE timeline as the backdrop. Fun times. At another event last night…. 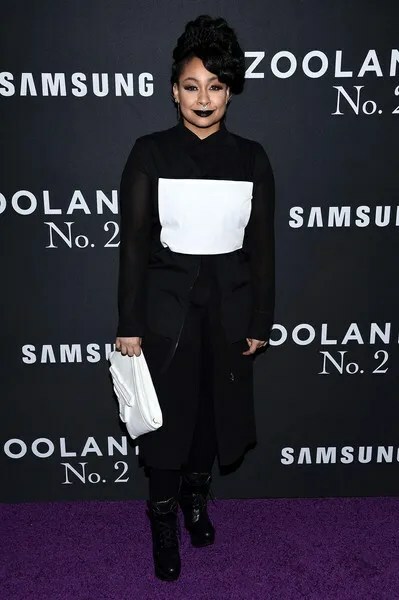 “The View” co-host Raven Symone pulled off a gothic look at the Zoolander 2 NYC premiere held at Alice Tully Hall last night. We all know how Raven loves to make a statement and she’s keeping with that theme. Y’all know the Hive came for her and let her have it! 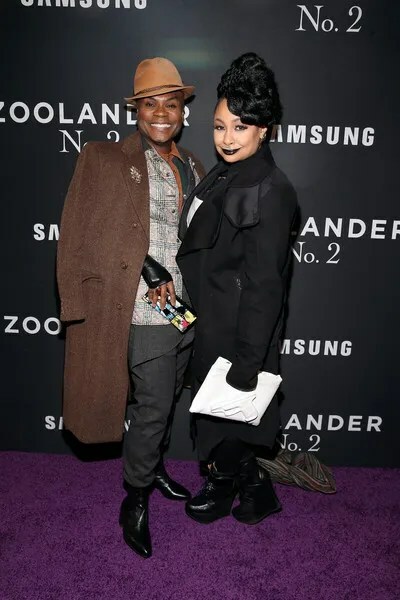 As she made her way down the carpet, she bumped into Zoolander 2 star Nathan Lee-Graham. 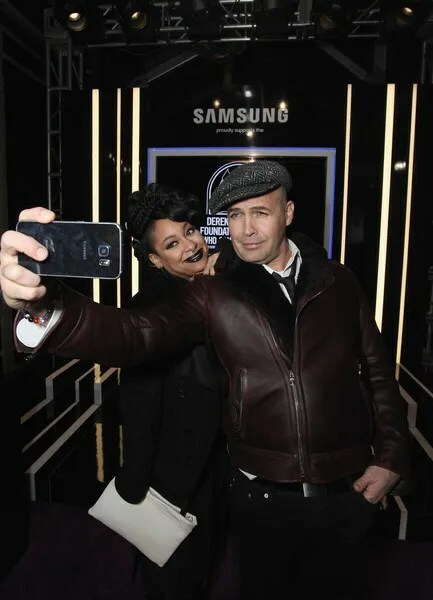 Then, she snapped selfies with former Titanic star Billy Zane. Runway slayer Naomi Campbell hit up the premiere serving model fab in a Marc Jacobs Spring ’16 number. New reports have popped up that Idris Elba has split from his from long-term girlfriend and mother of his son Naiyana Garth shortly after Naomi and Idris were spotted leaving 1 Oak nightclub together. Yikes. 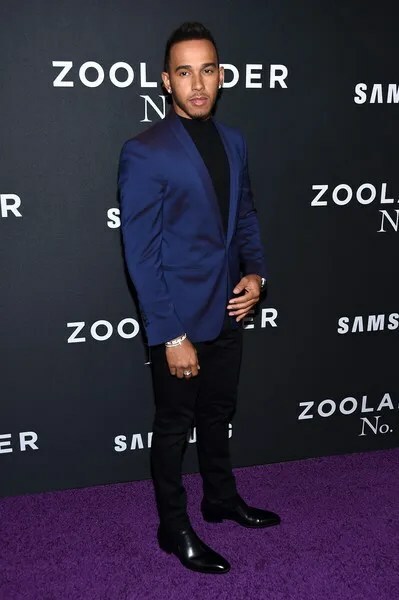 Formula 1 racecar driver Lewis Hamilton got dapper in a blue blazer and black slacks for the film’s premiere. 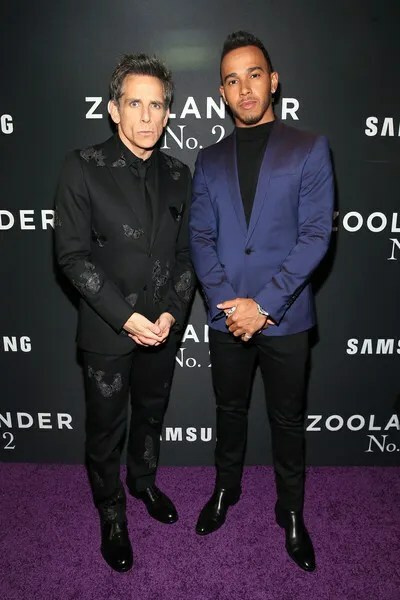 He snapped it up on the carpet with Zoolander 2 producer Ben Stiller. 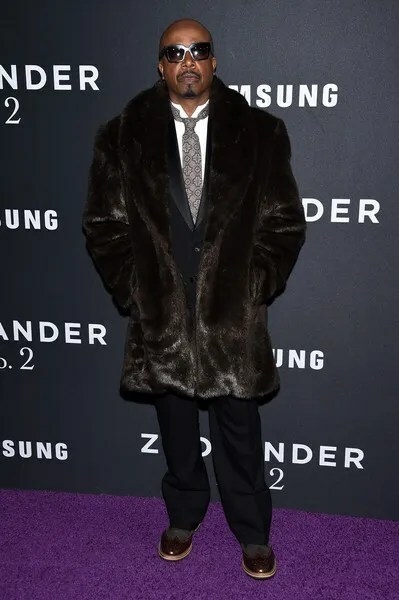 We don’t see him often, but recording artist MC Hammer was also in the mix…in his fur coat. Former “E! News” correspondent Alicia Quarles struck a pose while holding her black fur coat before heading inside. 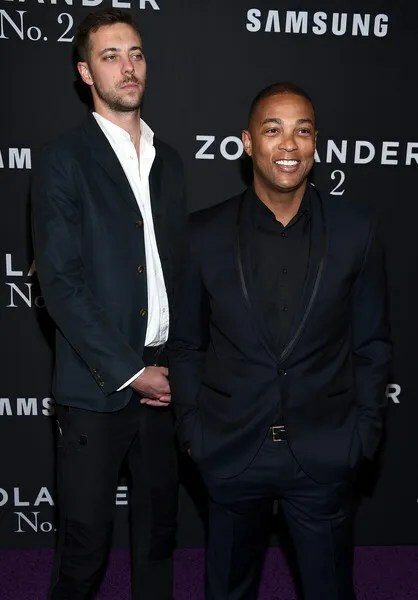 CNN reporter Don Lemon was also spotted all smiles on the carpet with a guest. DO WE BELIEVE IT? Idris Elba Reportedly Splits From Longtime Girlfriend After Night Out With Naomi Campbell + Jordin Sparks & Sage The Gemini Call It Quits?